Gummy Breakfast: Gummy shaped like a morning meal. Breakfast: the most important dessert of the day. 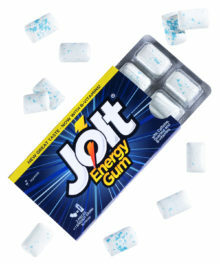 Enjoy delicious gummy rendered as your favorite breakfast foods when you chew on Gummy Breakfast. 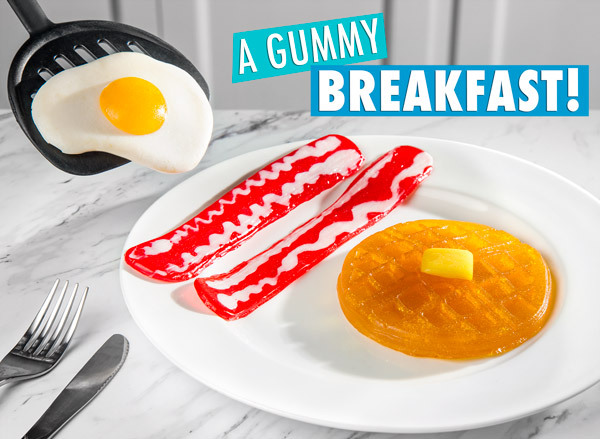 Rise and shine with two strips of gummy bacon, a sunny side up gummy egg, and a “buttered” gummy waffle. 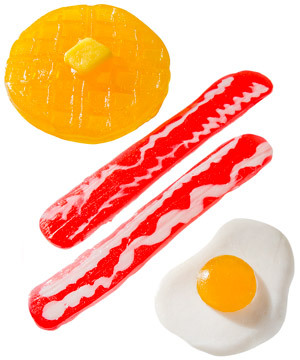 Each piece of Gummy Breakfast has the detail of its morning model, from the pat of butter on the waffle to the marbling of the bacon. These sugary snacks have a delicious fruity taste, and the waffle includes a helping of maple flavor for breakfast authenticity. Somewhere along the way, humanity rightfully decided that syrupy pancakes, frosted donuts, and bald cupcakes (aka muffins) should count as breakfast foods. It only makes sense then that we should indulge in a true all-candy breakfast. 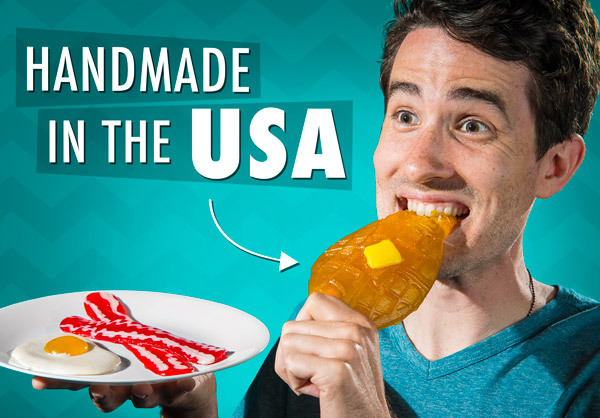 Gummy Breakfast is a fun new way to eat delicious gummy. 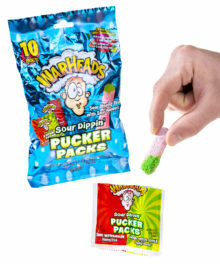 Each piece in the four-pack is a convincing replica of a breakfast staple with fruity gummy flavors. And since it’s not typical breakfast food, don’t feel obligated to only eat it in the morning; this breakfast is served all day! Save the leftovers for gummy brunch. 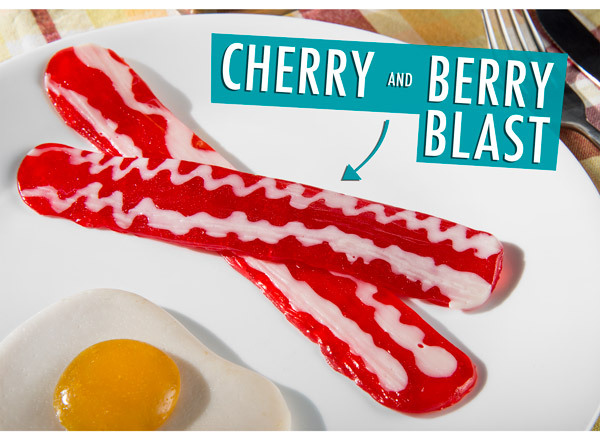 Gummy Breakfast is more than a visual treat. With four pieces in the set combining for over 12 total ounces of pure gummy, it’s as filling as a breakfast buffet and as tasty as an omelet bar. Best of all, it’s part of a balanced breakfast! 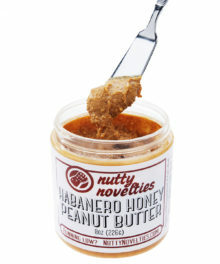 Well, it balances out the healthy part of breakfast with delicious sugar. We’re gonna count that. Start your day with a sugar rush. Gummy Breakfast might not be your first meal of the day, but it will be the tastiest. 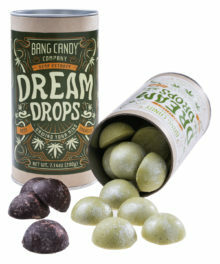 Each gummy in the set has two distinct flavors that combine for one yummy gummy. The egg has a berry blast white surrounding a lemon yolk, the two bacon strips have cherry meat marbled with berry blast, and the waffle blends a lemon butter pat with a maple waffle to give a hint of that classic breakfast flavor. It’s like having fruit for breakfast… sort of. Question: So it tastes like breakfast? 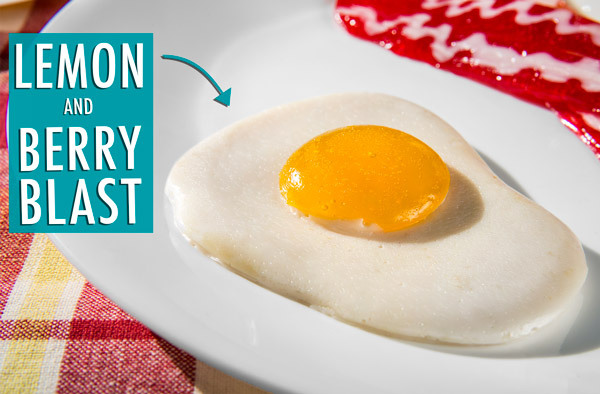 Answer: The egg and bacon are strictly fruit flavored (and delicious). 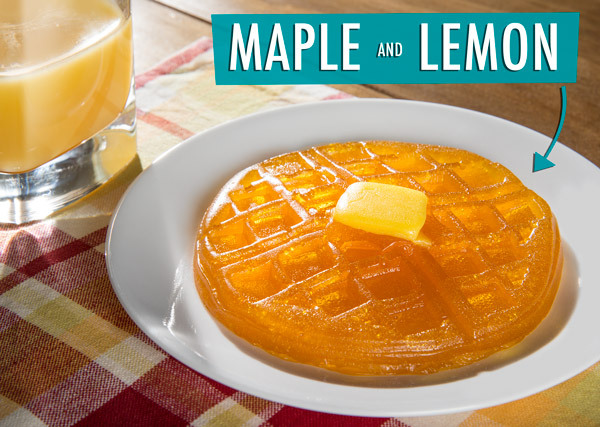 The waffle is a combo of lemon and maple syrup flavors. If you want more breakfast flavors in your candy, we’ve got you covered. Question: Does it agree with my dietary restrictions? 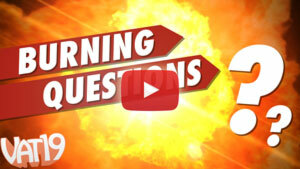 Answer: Gummy Breakfast is not vegetarian, vegan, kosher, or halal. Answer: Corn Syrup, Sugar, Gelatin, Citric Acid, Sorbitol, Natural & Artificial Flavors, Caramel Color, FD&C Red #40, Blue #1, Yellow #5 Titanium Dioxide, Vegetable Oil, Carnauba Wax, Canola Oil, Lecithin from Soybeans, Water, Rosemary Extract. Contains Soy and Dairy (Milk).